The information presented on this page was originally released on October 18, 2013. It may not be outdated, but please search our site for more current information. If you plan to quote or reference this information in a publication, please check with the Extension specialist or author before proceeding. Shengfa Liao was recently hired in the animal and dairy sciences department as a nonruminant nutritionist with both teaching duties and research responsibilities in the Mississippi Agricultural and Forestry Experiment Station. His work focuses on maximizing the efficiency of nutrient utilization by swine. “As a department, we will be investigating swine management systems that will improve production efficiency in the Southeast,” Blanton said. “With the addition of Dr. Liao to the department, our swine research program will be rejuvenated, and our students will receive the well-rounded education that is necessary for successful employment after graduation. Liao said he will soon begin a two-year project to examine the role of amino acids in muscle growth in pigs. He will be working with about 60-80 young pigs at a time. Mark Crenshaw, swine specialist with the MSU Extension Service, said the facility that will house swine research is located at the H.H. Leveck Animal Research Center. While it has housed pigs before, the building has been used as a multipurpose facility in recent years. “Several things needed to be done to make it workable for a research project,” Crenshaw said. 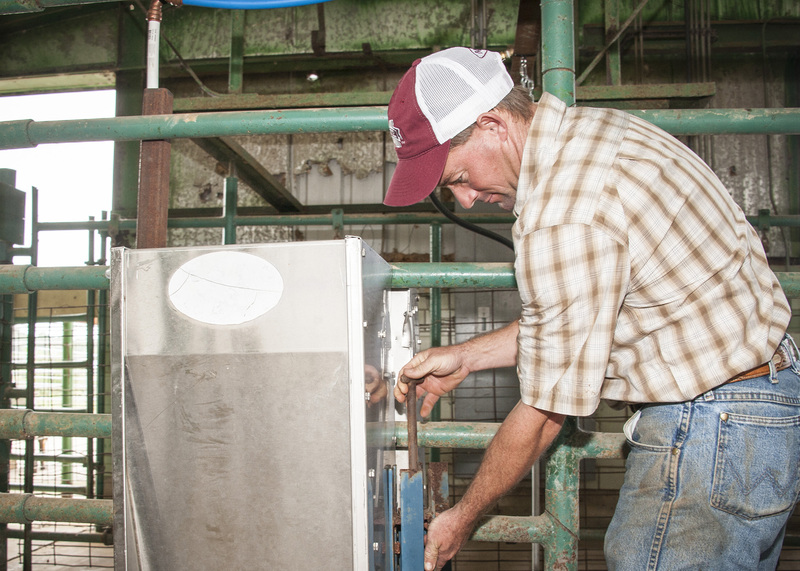 In partnership with Prestage Farms, MSU has installed feeders, a new watering system, a feed auger system to move feed to the pigs as needed and ventilation curtains that open and close automatically to control the temperature in the facility. Crenshaw said the facility will not only house swine research but also provide students firsthand experience to prepare them for working in the swine industry. “Pigs are used as models for a variety of research projects, and it will be good to have this basic livestock animal species once again in our research facility,” Crenshaw said. Although small numbers of pigs will be housed in the facility at any given time, their presence will give MSU students an opportunity to learn how to care for pigs and manage their needs. Terry Emerson, general manager of Prestage Farms in West Point, said the partnership will help MSU get back into swine research. Contacts: Dr. John Russell Blanton, Jr.